The head of every company sooner or later asks what their employees are busy with at work. With the development of online shopping and social networking sites, the majority of their time is spent there. However, you go to work, not for shopping or chatting with friends. It’s ok when they do it during lunch or spend few minutes to answer an urgent message. What if these people spend hours not working? You lose money because of them. How to monitor the staff? The company loses a lot of money, actually paying for personal time, and not for work. Of course, you can continuously monitor the work of the person by yourself or hire another employee, but it’s a waste of time and money. Instead, you can control them through software. For example, a tracking program that allows you to remotely monitor the computers of your employees. Not knowing what you are watching them, your employees will do what they usually do. And you will receive full information about their activities. 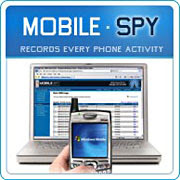 The spy phone application allows you to keep track of all actions performed on a mobile device of any worker – keystrokes, web browsing history, email correspondence, and more. But the software does not only gives you the opportunity to carry out control over the rational expenditure of staff’s time but also allows you to monitor the performance of work. Perhaps, your employees perform their tasks more quickly, which makes it’s possible to give additional jobs. Or on the contrary, they do not have time and do everything very superficially. ● Make screenshots five or six times a day. ● Record all the calls from the phone that you gave to that person. ● Read all the messages this person sends via email, Viber, Whatsapp and so on. ● If you come to a new staff member and start watching him or her standing somewhere near, you may scare or confuse him or her. Therefore, you won’t be able to assess real abilities and knowledge of the person. But if you do it remotely, you will get a more precise and definite picture of the actual process. Is it so good to be truth? Well, if you use it only for good purposes and you do not track any personal information of the employees, you can use this method of monitoring. If you try to find out any personal data, be ready to talk to the police. Stay aware of what your workers are busy with during the day and make your business prosperous. Check the history of calls with time, name, duration and check the deleted records to. You can monitor the internet activity by blocking some websites. Track the social networking apps like Whatsapp, Viber, Yahoo Messenger, Facebook, Skype. Record the incoming and outgoing calls and send to a website or you can download the audio files. 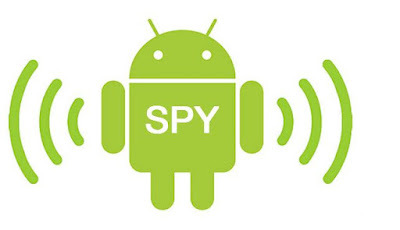 You can get more information of this android spy app from this site www.hoverwatch.com. This app can be downloaded for android and ios devices for free.